Provincial governor Atheel al-Nujaifi, a brother of Iraq's parliament speaker, on Monday survived the third attempt on his life this month, as violence killed 32 people, officials said. Iraq is suffering its worst unrest in years and authorities have so far failed to check daily violence targeting both civilians and security forces. There have now been at least six attempts to kill Nujaifi in less than a year, showing that even the most senior official in the northern province of Nineveh - one of the most dangerous in Iraq - is vulnerable to attack. Two roadside bombs exploded near Nujaifi's convoy in Nineveh's capital Mosul, wounding two provincial councillors but leaving the governor unharmed, a police major and a hospital employee said. Nujaifi, brother of parliament speaker Osama al-Nujaifi, is in his second term as governor of Nineveh, where Sunni militants have a major presence and carry out near-daily attacks. Militants are also said to extort money from business owners in Mosul, helping to fund their activities in Iraq and neighbouring Syria. Attacks killed three civilians and two army officers in Nineveh on Monday, while 11 militants died during an assault on an army position in the province. Gunmen shot dead a woman near her home in Baghdad, while one person was killed by a magnetic "sticky bomb" on a vehicle in Taji, north of the capital. And in Ramadi, a city west of Baghdad where militants have controlled territory since early last month, shelling killed a policeman and wounded three people. Anti-government fighters also control all of Fallujah, east of Ramadi and just a short drive from Baghdad. 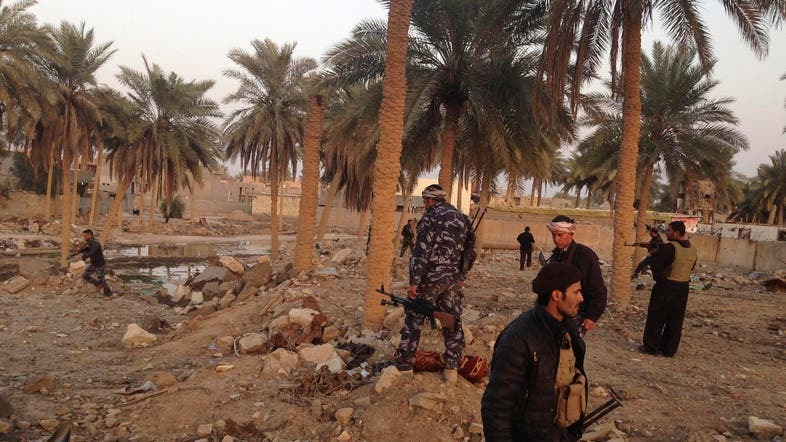 The defence ministry said that security forces killed 13 militants on Monday in Anbar province, where both Ramadi and Fallujah are located. Iraq has been hit by a year-long surge in violence that has reached levels not seen since 2008, driven by widespread discontent among the Sunni Arab minority and the civil war in Syria. More than 640 people have been killed in attacks and clashes since the beginning of the month, and over 1,600 since January 1, according to AFP figures based on security and medical sources. And violence has killed 10 or more people on all but three days so far this month.